With all of the cookies, cakes, pies, and sweet snacks that will likely be enjoyed during the next couple months, Orlando and Central Florida employees shouldn’t be afraid to include a few better-for-you salty snacks to balance everything out. Salt can have a bit of a bad reputation, but the word or concept of salt shouldn’t cause anyone to be fearful. 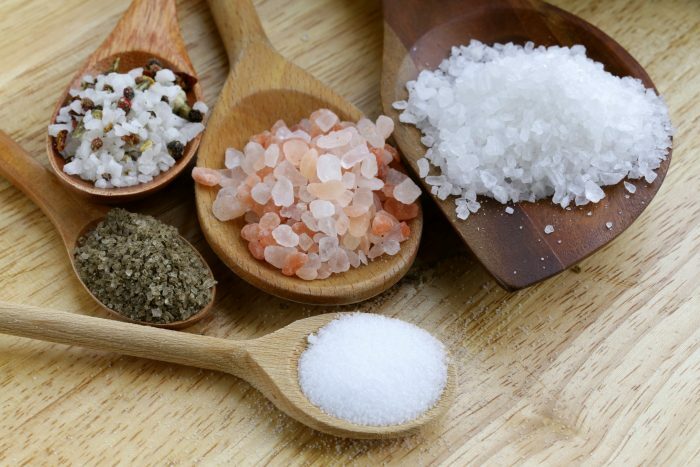 Salt is a mineral made of sodium and chloride, and it plays an important role in maintaining human health. The right amount of salt helps balance fluid levels in the body as well as helping muscles and nerves function properly. But, and it’s a big one, consuming too much salt can cause some very dangerous health conditions. And therein lies the challenge — understanding where the line is between too much and too little salt, and choosing healthy ways to get the correct amount of salt for your body. 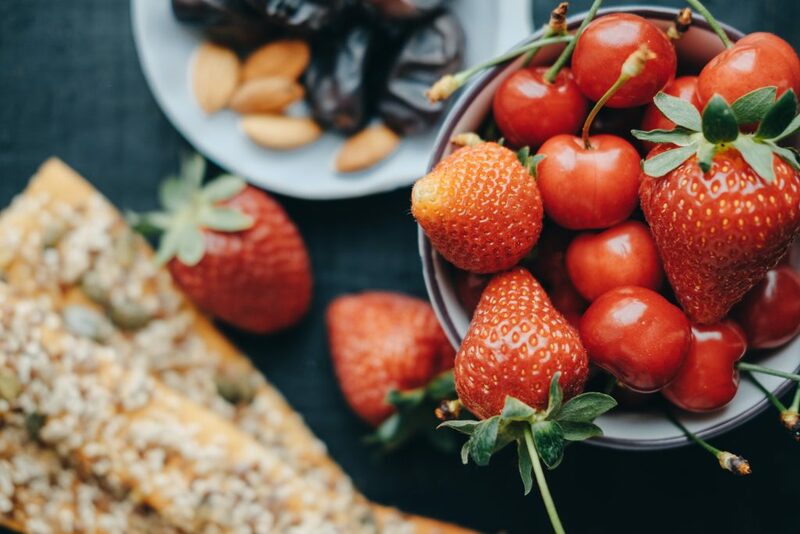 A recent survey by Surveygoo supports that as 92 percent of the Millennials surveyed said they replaced a meal with a snack at least once a week. 50 percent did it four times a week and 26 percent, did it seven times per week. 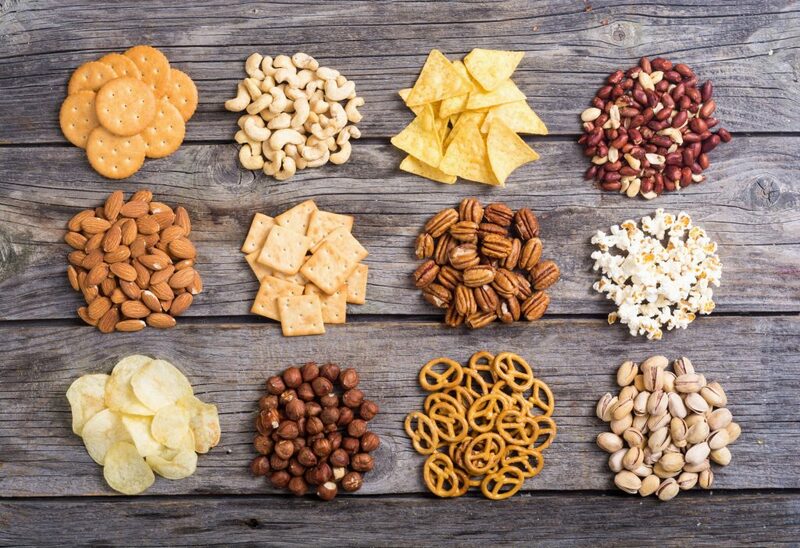 New better-for-you salty snacks or mini meals are now made with alternative (non-potato) ingredients such as proteins, grains, vegetables, and superfoods, and include new taste, texture, and flavor combinations. It’s clear that a shift has occurred to include an expanded definition of the snack. Both types of snacks, the traditional and the “mini-meal” healthy snack, need to be available in the Orlando and Central Florida break room. Employees are looking for new ways to combat the afternoon munchies and to fill a nutritional need during the work day. If that snack is not available at work, they will go elsewhere to find the snack or mini-meal that they need. Offering the combination of new flavors, textures, and healthier ingredients is an interesting way to draw hungry people to the break room. To offer a wide variety of options for your Orlando and Central Florida employees, update your break room to include vending machines or a micro-market that offer a customized menu of snacks, beverages, and fresh food to meet your employees’ needs and preferences. Whether that means changing up your current offerings, adding coffee service, or updating your entire break room, The Vending Station can help. For more information, contact The Vending Station at (407) 891.7632. We look forward to working with you. Dark Chocolate has made it to the top of the superfood list. Whether it’s a snack or an ingredient in a beverage, dark chocolate has a lot to offer Orlando and Central Florida employees. Before we dive into the benefits of dark chocolate, let’s define what dark chocolate is. In its most basic form, dark chocolate is cocoa, fat, and sugar. The first ingredient should always be cocoa or chocolate liquor followed by any combination of cocoa powder, cocoa nibs, and cocoa butter. 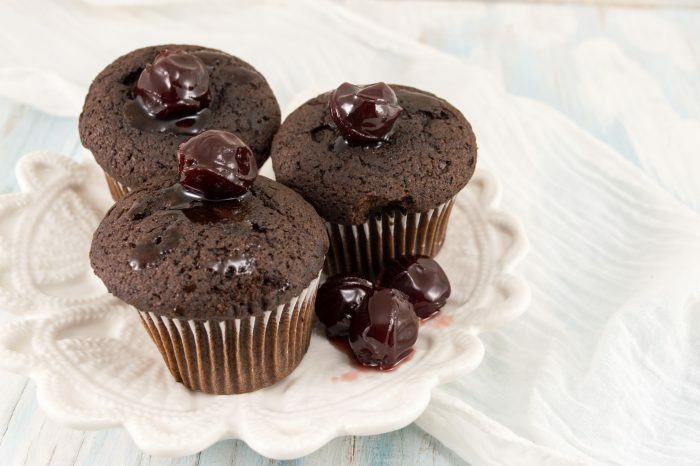 The other necessary ingredient is sugar, which is used to balance the bitter taste of the chocolate. But make sure that the sugar is listed toward the end of the ingredients’ list and always after the cocoa. Here’s a hint to remember — the higher the cocoa percentage, the lower the sugar content. Question: When is dark chocolate a superfood? 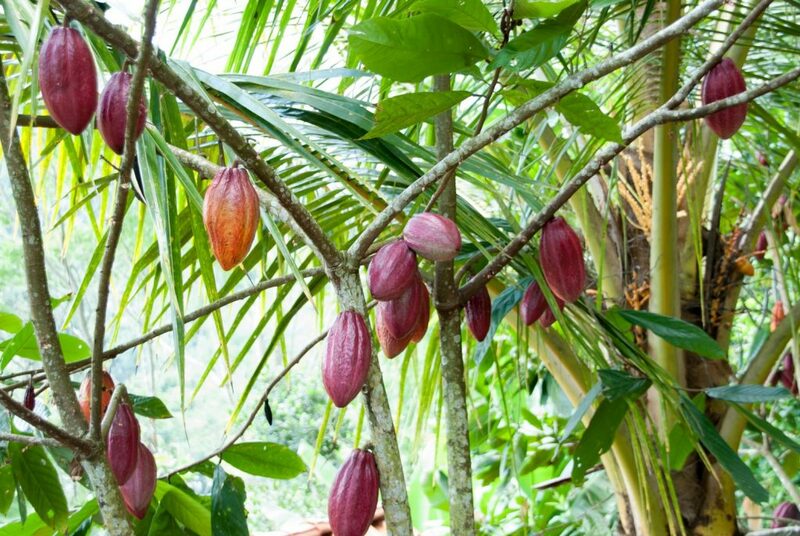 Answer: When it contains high levels of cacao. For dark chocolate to qualify as a superfood, it must contain a minimum of 70 percent cocoa. The high levels of cacao provide flavonoids, a powerful type of antioxidant. Dark chocolate is also rich in fiber and nutrients like healthy fats, iron, magnesium, copper, manganese, and a particular group of free-radical-fighting antioxidants known as flavanols (a type of flavonoid). 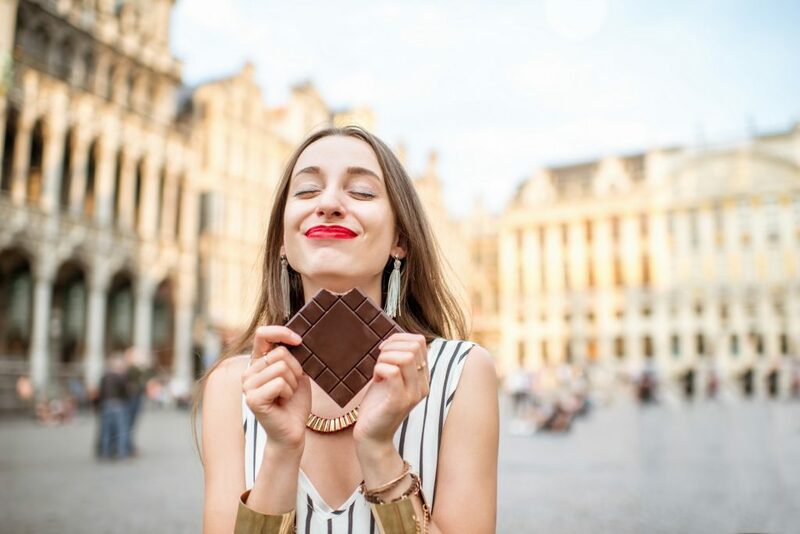 At 70 percent cacao or higher, dark chocolate has been found to decrease stress levels and inflammation, and improves mood, memory, immunity, and cardiovascular health. Cacao is listed first on the ingredient list. There is 70 percent or more of cacao. Sugar is listed below the cacao ingredients. No unnecessary ingredients are used such as trans fat, milk (except milk fat), or artificial flavorings. 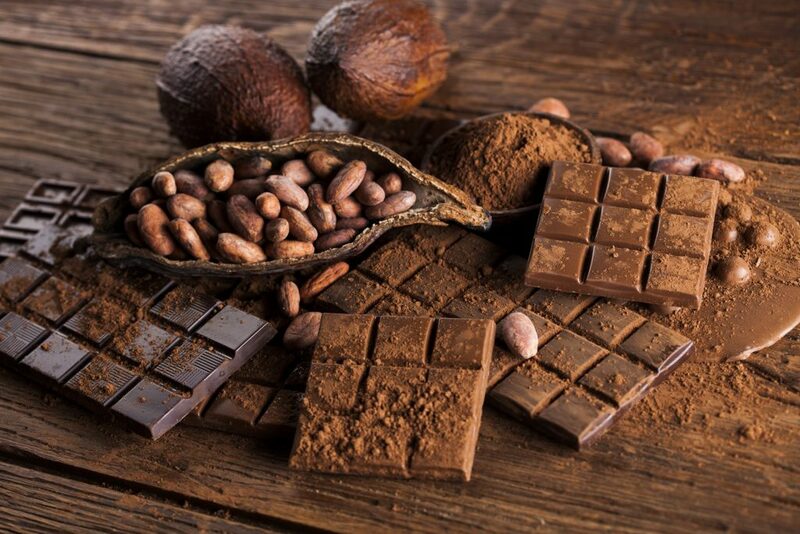 No alkalization or Dutching was used to make the dark chocolate as the processing method significantly decreases the amount of antioxidants in the chocolate. Consider fair-trade or organic dark chocolate to ensure that the chocolate is high-quality, pesticide-free, GMO-free, and was ethically sourced. Whether Orlando and Central Florida employees want to enjoy dark chocolate on its own or as an ingredient in a snack, there are many different options to offer your employees in the break room vending machine or micro-market. 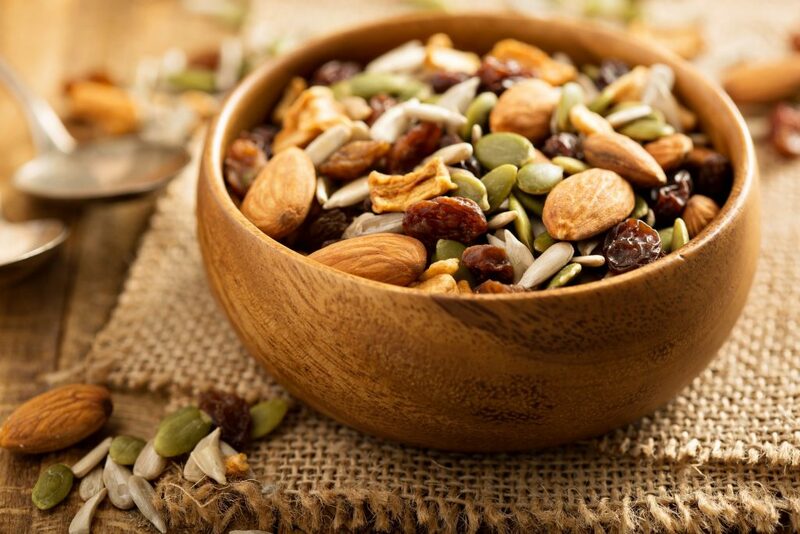 A bar of dark chocolate, roasted almonds covered in dark chocolate, or granola bars with dark chocolate are just a few healthy snacks that provide an energy boost and satisfy a sweet tooth. And don’t forget to include a variety of beverages such as coffee, tea, and bottled water. Which dark chocolate snacks would your Orlando and Central Florida employees like to enjoy? For more information about adding new snack and beverage options to your vending machines or micro-market, call The Vending Station at (407) 891.7632. 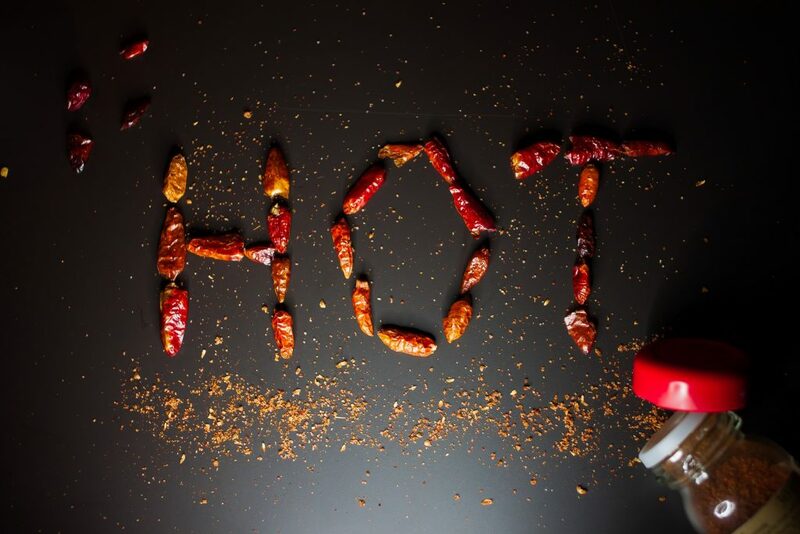 Each year Orlando and Central Florida consumers experience new flavor combinations that take the culinary world by storm, and 2018 is no different. 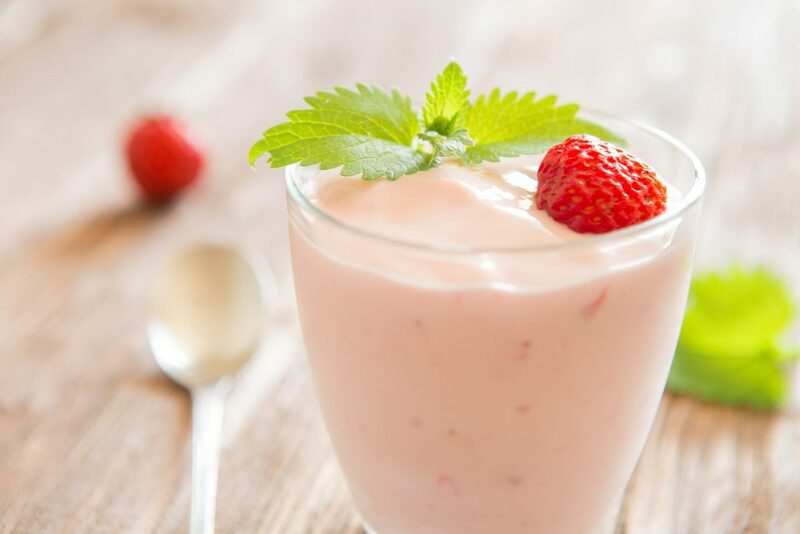 While new food trends don’t instantly appear as snacks or meals in micro-markets or vending machines, they will eventually make their way toward the office break room. Here are a few new food trends that you’ll likely see in 2018. For years, the Hawaiian islands have been known for their native dishes such as Poi, a staple food made from the root of the taro plant. The influx of cultures from around the world has, however, created new dishes that have made their way across the continental United States. Don’t be surprised if you see any of the following around Orlando and Central Florida in 2018. 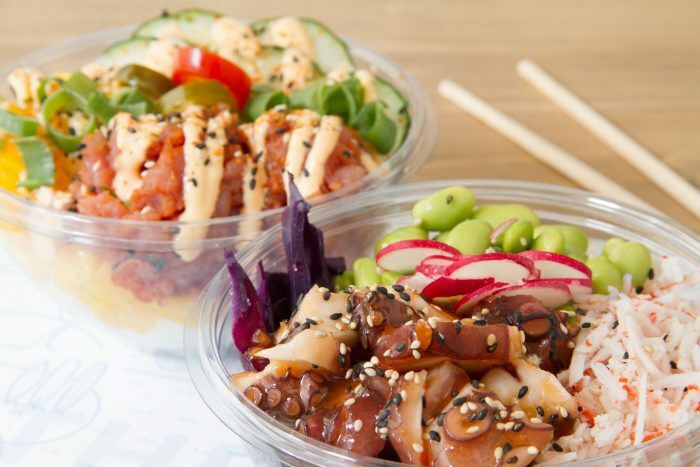 Poke (pronounced “POH-keh”) Bowl: chunks of raw, marinated fish, usually tuna, tossed over rice or quinoa, and topped with vegetables and umami-packed sauces. Is it art, or is it food? Neither—it’s both. Chefs are using a mix of high-antioxidant fruits and vegetables to create eye-candy colored delicacies that that are part art and part food. Whether it’s a snack, a sweet treat, or a gourmet coffee, there are endless possibilities when it comes to combining a variety of flavors and colors to create healthy snacks and beverages. Keep an eye out in Orlando and Central Florida for new snack and meal choices that are almost too colorful to eat. Both figs and pistachios have been grown in different parts of the Mediterranean, Asia, and the Middle East for centuries. It looks like they will both now have a permanent place in Orlando and Central Florida cuisine. Figs, a fruit grown on trees, can add a wide range of flavors from a hint of maple syrup to a nutty, coffee flavor to almost any dish. 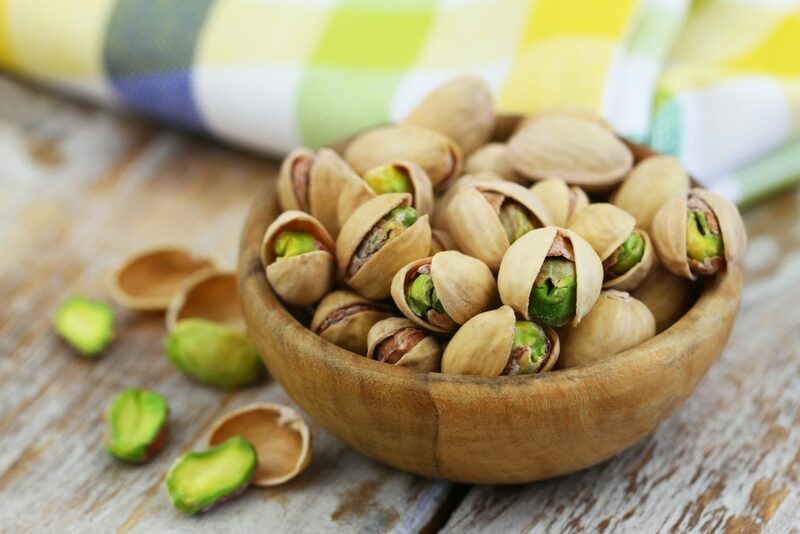 Pistachios, a member of the cashew family, also grow on trees and are a nutritionally dense food that pairs well with a wide variety of other ingredients because of its buttery and smooth flavor. If you see any one of the following snacks around Orlando and Central Florida, give it a try. Which trends would your Orlando and Central Florida employee like to find in their office break room? If it is time to update your micro-market or vending machine options, The Vending Station can help you customize the right combination of snacks, beverages, and meal choices. For more information about traditional or healthy choices, call us at (407) 891.7632.